Navigating the auto-financing language barrier can be tricky. Just saying yes at the dealership can be your greatest mistake when financing your new or slightly used automobile. There are a few things that you need to understand before committing to one of the most important purchases you can make. What methods to use to pay for certain facets and the math that goes into interest and depreciation can make or break the bank. Contrary to popular belief, your automobile is hardly an investment. Depreciation strikes down the value of your vehicle rather quickly, and depending on your payment term it could be worth less than what you paid for it. Here’s Mac James Motors five favourite tips when it comes to financing your “new-to-you” ride! recipe for auto-financing. The deals, type of loan and interest rates you are offered will all depend on your credit score. Every lender doesn’t look at the same system and will have their own criteria for loan rates. Meaning that you can find better loan rates if you’re willing to shop around for them. You can inquire about your score for free once year from major reporting bureaus. How exactly credit scores are calculated are kept secret by credit bureaus, but paying bills on time is a big factor. As lenders won’t make money off of you for paying your bills off in full each month, those who pay a portion of–or even the minimum payment– can be given a higher score. Something to think about when applying for a loan is that when lenders search your credit history it will decrease your score. Considering the FICO shopping period is 14 days, keep your inquiries within that time span to decrease the negative impact it will have on your overall score. Though many dealerships will offer you financing terms, walking in with pre-approval from a bank or lender means you are guaranteed a loan to cover the cost of your preferred vehicle. Better yet, this changes your leverage. Being pre-approved also gives you a little more negotiating power, and changes you into a “cash buyer”. Add It All Up First! Calculate every single thing. The total cost of the loan, your down payment and your loan term are some of the major components. The APR (annual percentage rate) will only contribute a small effect on your total monthly costs. Certain things like insurance, maintenance buffer costs, and gas are all going to be part of your monthly payments too. Make sure that you can afford your car or you will be belly up on your loan. You will find your vehicle has been repossessed and that your shoes are doing a lot of walking. Keep your loan term as short as you can afford! 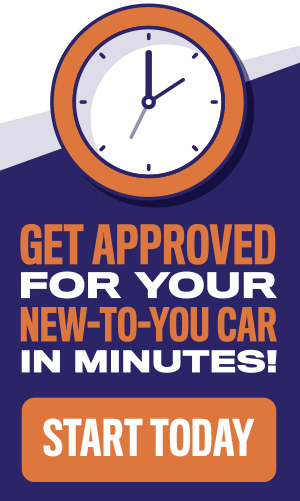 With higher monthly payments you will finish paying off your auto-loan faster and will not be stuck with your lender’s high interest rates. Most salespersons will try to talk you about your monthly payments. Trying to base your overall purchase on getting as much out of your loan as possible. Lowering your monthly payment extends the loan term which extends how long you are paying interest on it. Sounds like you are saving money at first, but in the long run you might pay more than the car is worth. Not only will you be paying longer, but some banks and lenders charge higher interest rates for longer terms! Try not to finance extras, fees, add-ons and taxes. The dealership will have no problem letting you finance all these extra costs. Doing so will only increase the amount of your loan and not the value of your car. Guaranteed Auto Protection insurance or GAP insurance–know what it is! It’s to cover the “GAP” between what insurance companies think your car is worth and what you have left on your loan. Most folks buy this because they don’t want to be out a few more thousand dollars if they wreck their car. But realistically it’s not something to be feared if you have set up your loan term correctly. Though deals like Zero down, Zero interest and Zero payments for one year sound appealing, they are generally far worse in the long run. Most of these deals come with above average interest rates and larger payments. Remember the car isn’t being paid for you, and that that first year is still part of your loan term. Keep your eyes peeled for hidden fees and don’t let the dealership talk you into any extra features that you don’t want. Cross off features on the invoice just to make sure.